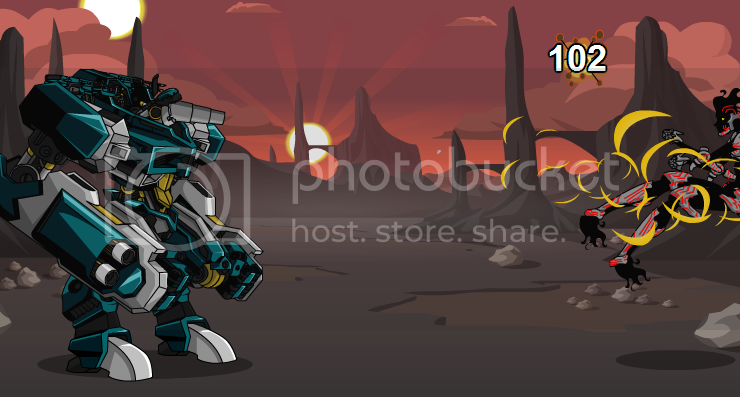 Description: This model is loaded with highly-damaging attacks, together with defensive counter-measures! Scales up to level 5! Description: This weapon may do a hard-hitting melee attack or a ranged attack - every successful hit of the ranged attack has a chance to reduce your opponent's Bonus to Hit! Description: The first hit of this powerful arm weapon may severely damage your enemy's defense mechanisms for a few turns. The second hit is guaranteed to be critical! 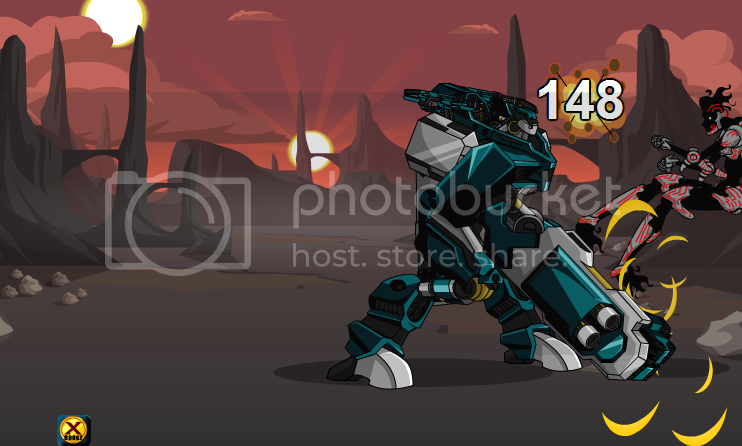 Description: The rapid blasts from this fast-firing gun can cause your opponents to do less damage than normal! Description: Say hello to my little friend! Mini-version of the Master Blaster gets up close and personal with the opponent, with a chance to increase your own defense over a period of time! 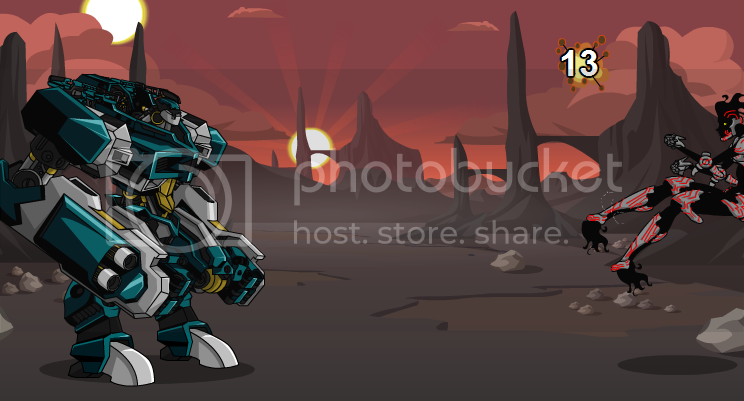 Description: Show off your mastery by blasting with this head attack! This hit has a good chance of doing bonus damage, may boost your general damage over time, and can also increase your Bonus to Hit!